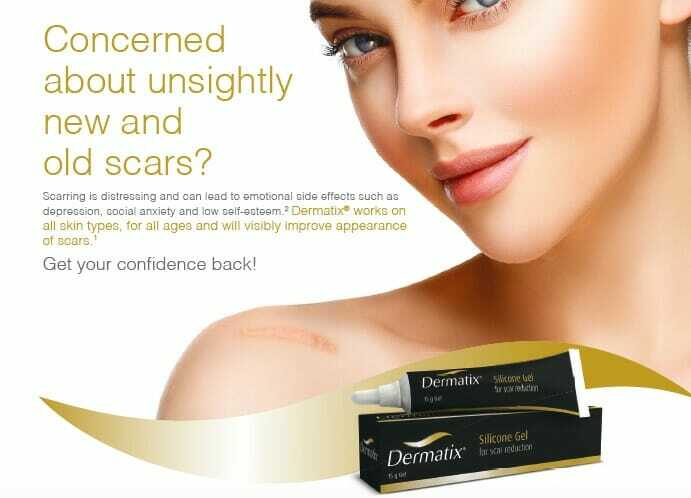 Dermatix®: Concerned About Reducing the Appearance of New and Old Scars? You are at:Home»Aesthetic and Anti-Ageing»Cosmetic Surgery Update»Dermatix®: Concerned About Reducing the Appearance of New and Old Scars? Scarring is distressing and can lead to emotional side effects such as depression, social anxiety and low self-esteem. Dermatix® works on all skin types, for all ages and will visibly improve appearance of scars and can help you to get your confidence back. 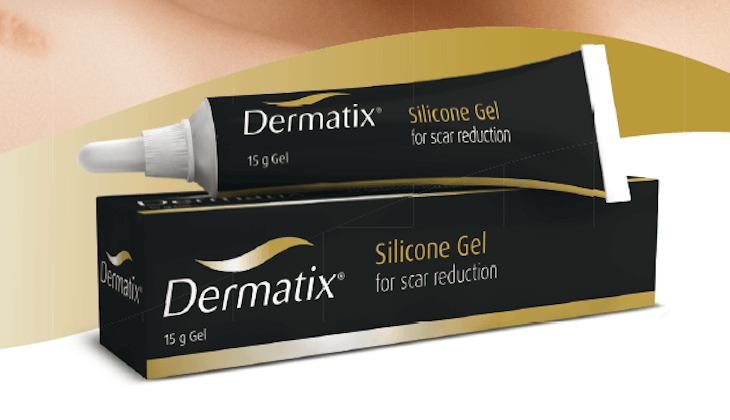 Dermatix® Silicone Gel contains a unique silicon matrix that hydrates the scar and is clinically proven to significantly improve the appearance of scars (suitable for old and new scars). Make-up can be used over Dermatix® Silicone Gel. Dermatix® is available with or without prescription at leading pharmacies. Ask your Pharmacy about Dermatix® Silicone Gel, as used and recommended by Plastic Surgeons, Dermatologists and leading Specialists worldwide. For more information on Dermatix® please contact Meda Pharma. Adverse events should be reported to Meda Pharma South Africa. Meda Pharma South Africa (Pty) Ltd, Sandton City Office Tower, 16th Floor, Corner Rivonia Road and 5th Street, Sandton, 2196. (ISC) Lisbon May 2011: 1-12. For full prescribing information refer to the package insert approved by the medicines regulatory authority. MEDA Pharma South Africa (PTY) Ltd. Co. Reg. : 2010/000051/07.